The Crisis Intervention Program helps homeless and at-risk New Yorkers with almost any problem on a walk-in basis. 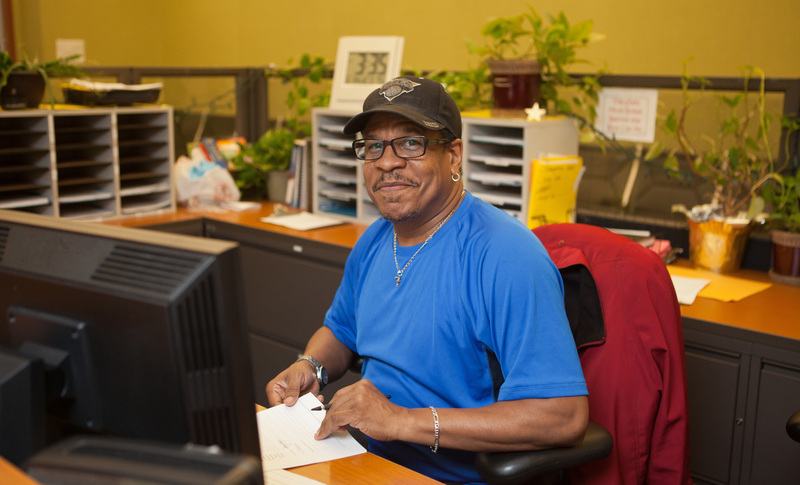 For more than 35 years, the Coalition’s Crisis Intervention Program has been a singular refuge, where anyone in New York who is homeless, on the brink of homelessness or struggling to survive can receive immediate help from our experienced and dedicated frontline staff. The program provides a full spectrum of services and support to up to 50 households per day, including access to decent emergency shelter, obtaining food stamps and other vital benefits, and longer-term assistance to secure housing. Navigating the NYC shelter system can be a full-time job in itself, and too many are wrongly turned away for lack of proper documentation or because shelter workers believe applicants have somewhere else to stay. Our caseworkers use their unique expertise in homelessness and the complex details of the NYC shelter system to ensure that everyone who needs shelter gets the proper help. Crisis Intervention’s Child Advocate works specifically with homeless families with kids who are wrongfully denied shelter, and successfully stabilizes hundreds of families in crisis each year. Crisis Intervention’s lack of any barrier to entry and its highly trained and compassionate staff truly make it a critical safety net for those among us in greatest need. The Crisis Intervention Program operates Monday – Friday on a first-come, first-serve basis. Please arrive at the Coalition no later than 8:00 a.m. if you would like to see a case manager.